Come and join me with your favourite bear, dinosaur or anything you may want to bring to make a mini-shelter. Listen to a lovely story about a house built in the wood! We will then go for a walk around the secret path to collect materials to make a home for our little friends. 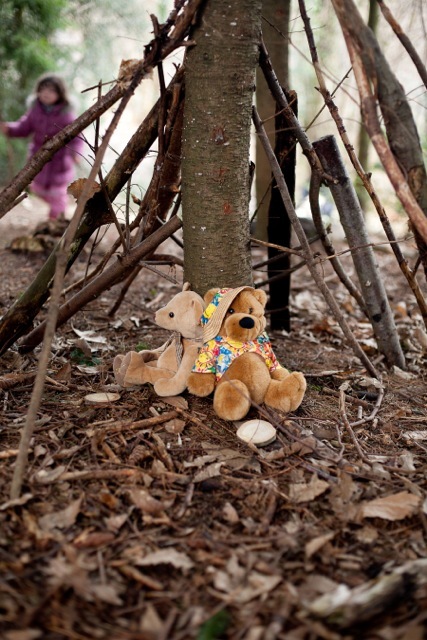 Learn how to make a shelter, four posters bed, a garden, swings and slides!